Topic: Pause on result screen. Re: Pause on result screen. Not merged. Just did a new post as I was giving GRIP a spin on the arena map. Thanks for the noted. Arena map look to be a fun map to goof around on flipping your car. My grandnephew will enjoy the map. Topic: Total Number of Testers? Re: Total Number of Testers? With the Steam release, there over 4000 players that have played GRIP. Topic: Starting grid and opponents. Re: [LISTED] Starting grid and opponents. Ya I get turn around and go the wrong way after flipping some times! I see the AI coming at me and figure I better turn around. 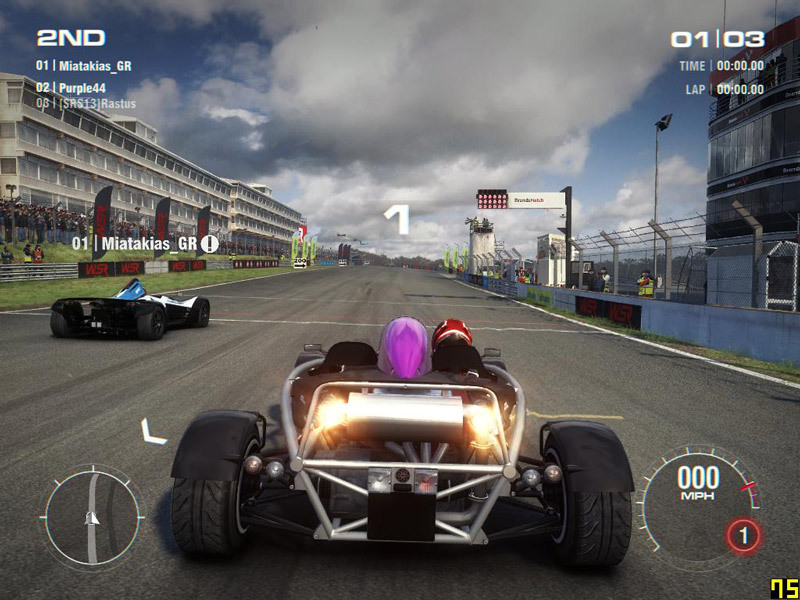 I like this indicator in GRID 2, so I did not have to look back to see where the guy behind me is. Made it easier to block or avoid being pitted. Re: [LISTED] Driving wheel support? When?? Topic: Badge assignments almost complete ! Does a $20 supporter get a badge? I don't remember if this level of support gets a badge. Topic: About forum badge and doing a search. Re: About forum badge and doing a search. Bugbear sent us a forum badge key with our conformation email for Next Car Game\Wreckfest when pre-order first went live on their site. The forum badge is the only fringe benefit you get when pre-ordering this early. Be good the Devs get forum badges working as soon as possible. About forum badge and doing a search. My bad, at the bottom in Paypal it does say CAD. I ended up paying $20.58 USD. You would Grrr a Dev?